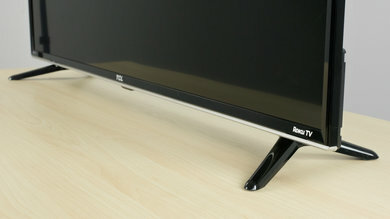 The TCL FS3800 Series 1080p LED is a basic TV with an average picture quality. 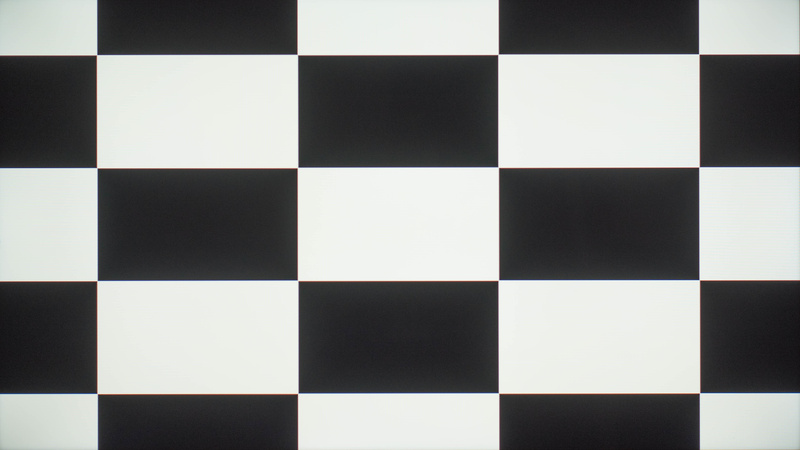 It cannot get very bright, has average screen uniformity and the motion could be better. When viewed from the side, its picture also degrades quickly. The Roku smart features are great though. 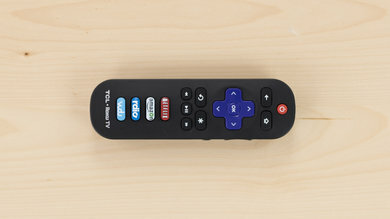 The TCL FS3800 has a bland design. 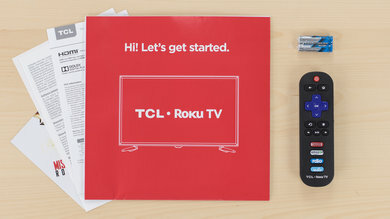 Its lines are a little sharper than on other TCL Roku TVs but its thickness is still a little exaggerated around the back. All of the parts are plastic. 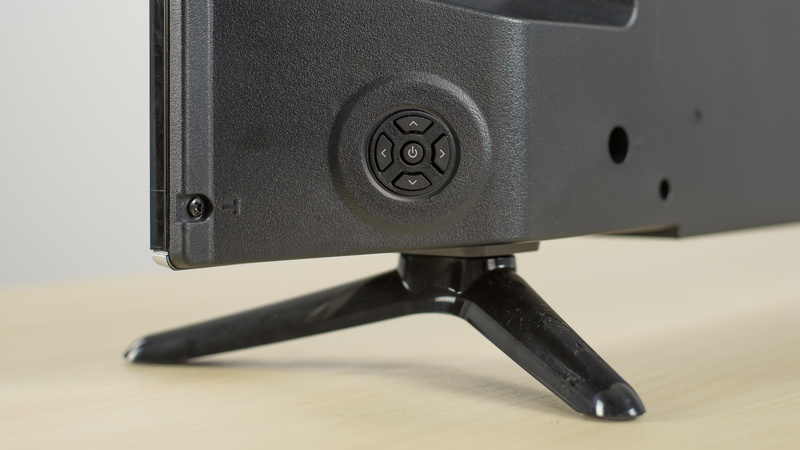 The TCL FS3800 has the same plastic feet that come with most TCL Roku TVs. The stand does a good job of holding the TV steady. Footprint of the 40" TV stand: 33.1" x 7.9"
The back isn't flat and the TV might look weird if wall mounted. Connections are well laid out and won't be in the way if the TV is hung on a wall. Border's thickness is average. Pixels don't start at the edges of the screen. Fairly thick TV. Its multiple levels of thickness might look strange if wall-mounted. The picture quality of the FS3800 is average. The TV does not support HDR. 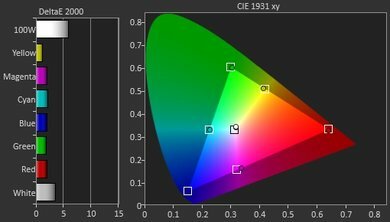 There are very limited options to adjust the color settings on the FS3800, however the out-of-box colors should be fine for most people. 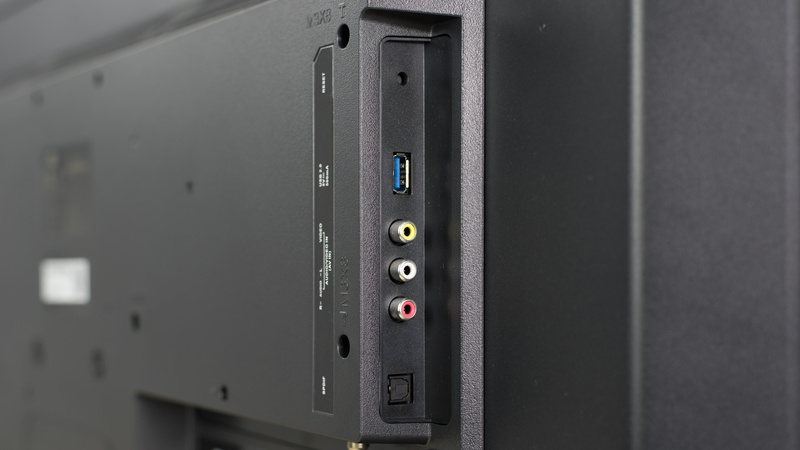 Lower quality sources such as DVDs and cable TV perform well. It cannot get very bright to deal with ambient light or to distinguish highlights. The picture quality degrades significantly even when viewed from a slight angle. The native contrast ratio provides good performance in dark scenes. The peak brightness is not good. The TV should not be used in a bright room such as a living room. 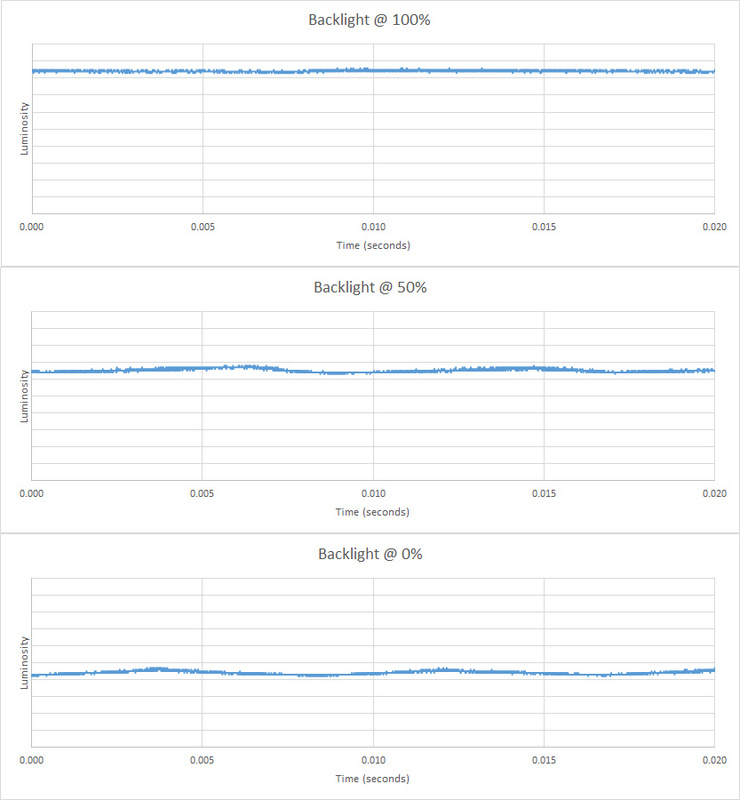 The lack of local dimming results in a consistent brightness at all window sizes. 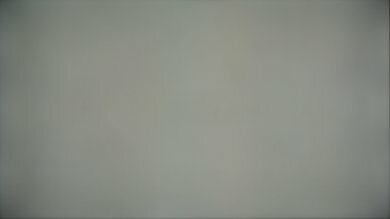 The gray uniformity is about average, however the edges of the screen are noticeably darker with some faint banding present. The dirty screen effect will be slightly visible when panning across a sports field. The viewing angle is extremely limited, and only suitable for viewing from directly in front. 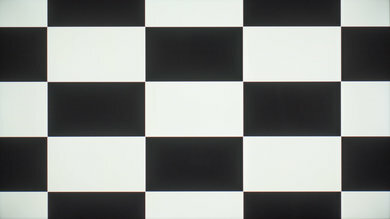 The black uniformity is very good, with almost no visible flashlighting or clouding. 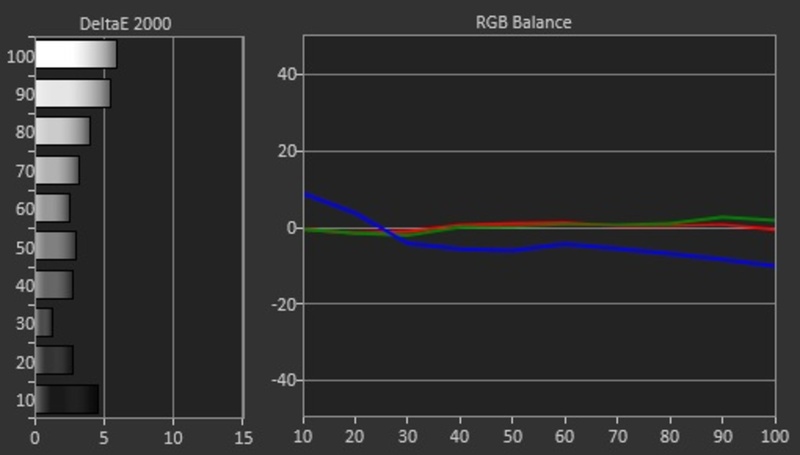 The gradient displayed on the FS3800 is very good, and 8 bit gradations cannot be seen. There are slight tints visible in the gray band but this should not be a problem for watching content. Out of the box, the white balance dE is high and the colors are off, this shouldn't be a problem for most people as you will most likely not notice the issues. 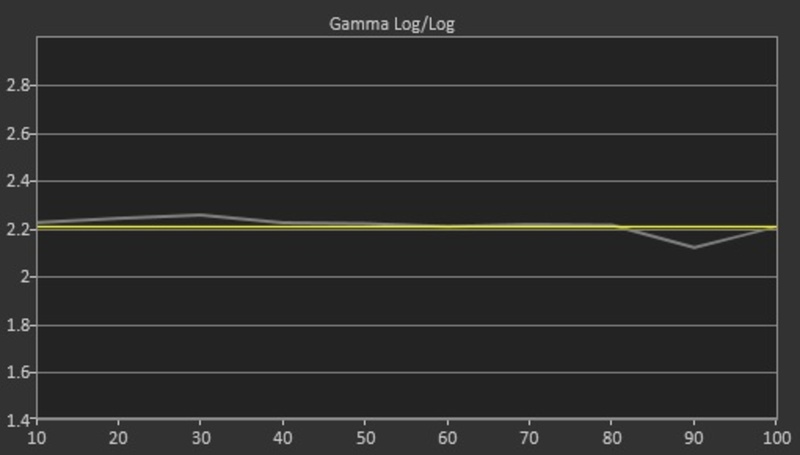 Thankfully, the gamma doesn't have too many issues. Just like the TCL FS3750, it doesn't have any calibration settings to play with. You can't adjust them at all with the handheld Roku application unlike the TCL US5800. 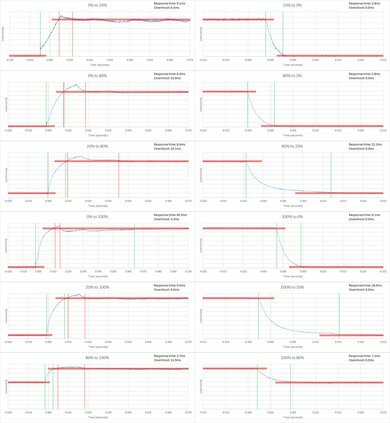 For this reason, the pre-calibration is identical to the post-calibration. 720p content and cable TV also looks great when upscaled. This TV also does a good job for higher resolution sources such as a Blu-ray player. Picture also looks very good and sharp. 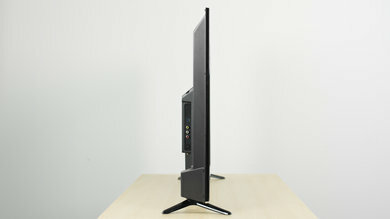 Note: The 32 inch (32S3800) is 720p, contrary to the bigger sizes. The TCL FS3800 doesn't have a wide range of colors and as such will only be enough for Rec. 709 content. The color volume is poor. 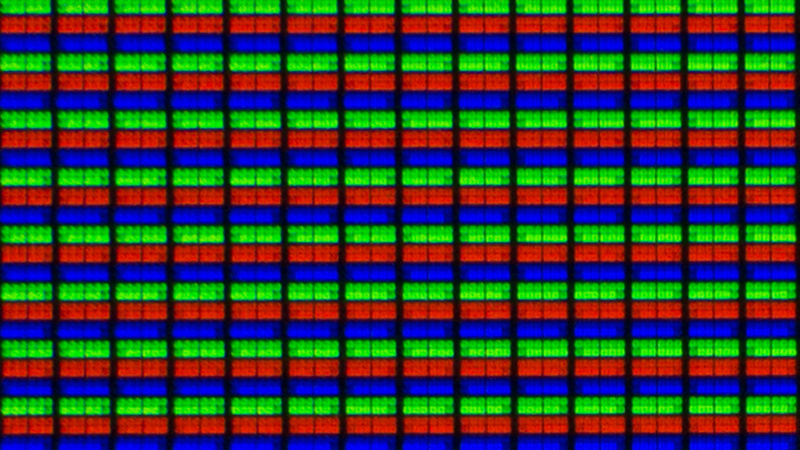 This TV can't produce very saturated colors regardless of the brightness level. 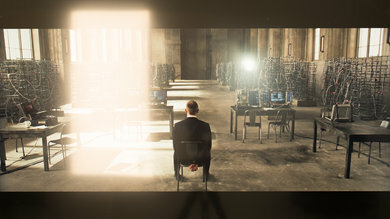 The screen can produce reflections that appear large and diffused. It is still possible to see through some of the reflections if they aren't too bright. 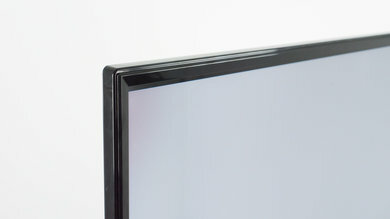 Like the Sony W650D, the panel inside the TCL FS3800 has an horizontal pixel substructure which results in a very narrow horizontal viewing angle but slightly better vertical angle. The TCL FS3800 is average at handling fast moving objects, with a faint amount of motion blur that would be visible. There is no judder when watching movies via blu-ray or DVDs, but may be when playing movies via a set top box. 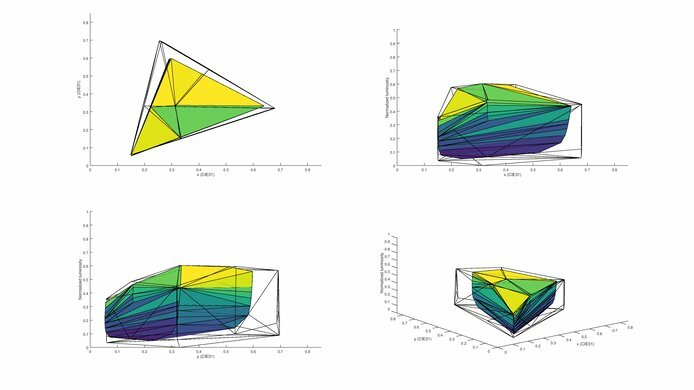 There are no motion interpolation features. There are a few issues with the response time of this TV. 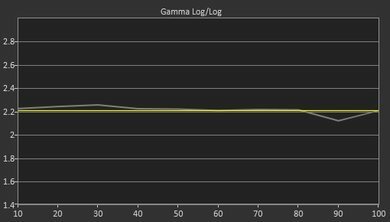 The transition from 0% to 100% takes about 65 ms, and there is overshoot present in all transitions. 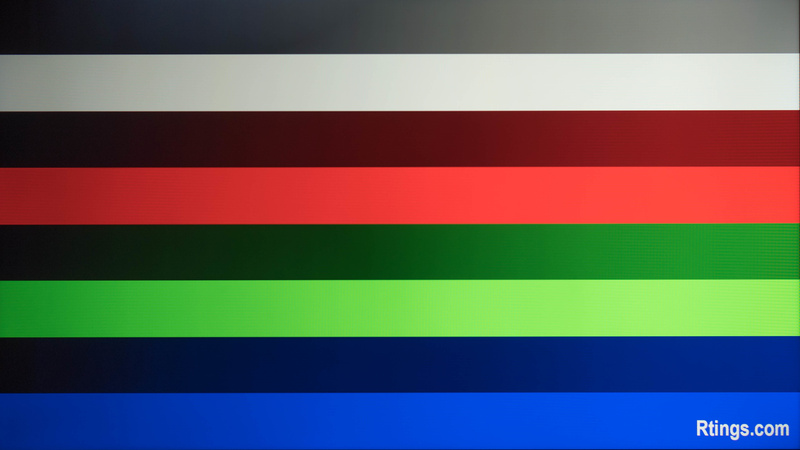 Thankfully, the trail behind the motion blur logo isn't too long and is faint. The backlight of the TV is flicker free. There are no options to reduce or remove judder for 24p content. 24hz signals are displayed without judder but it is still visible for 24p content sent over 60p and 60i. There are no motion interpolation features on the FS3800. The input lag is quite low, which is good. It does not support a wide range of signals due to the limited frame rate of up to 60Hz and lack of support for full color information. When viewing documents or web pages the text is not as defined as it could be. There is low input lag, which should not be noticeable to most people. The game mode setting did not affect the measured input lag with the Leo Bodnar tool. 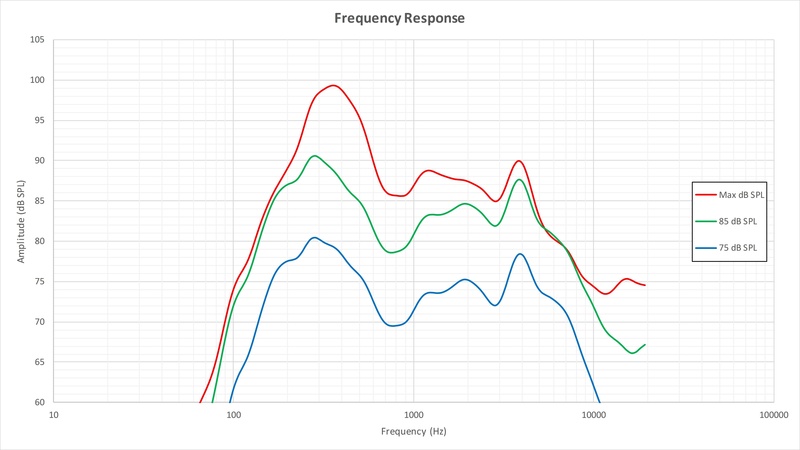 The TCL FS3800 does not support signals at more than 60Hz, or with Chroma 4:4:4. 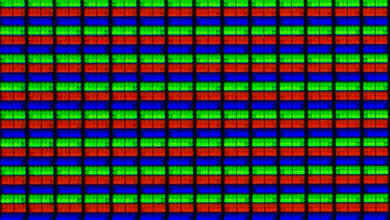 It is not recommended as a PC monitor as text is not well defined. 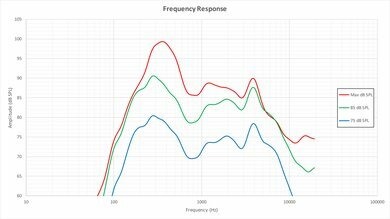 The sound of the TCL FS3800 is terrible, much worse than on most TVs. It lacks bass and max volume is still fairly low. Distortion is also omnipresent. Any budget sound bar would be an improvement over the the TV speakers. Poor performance overall. 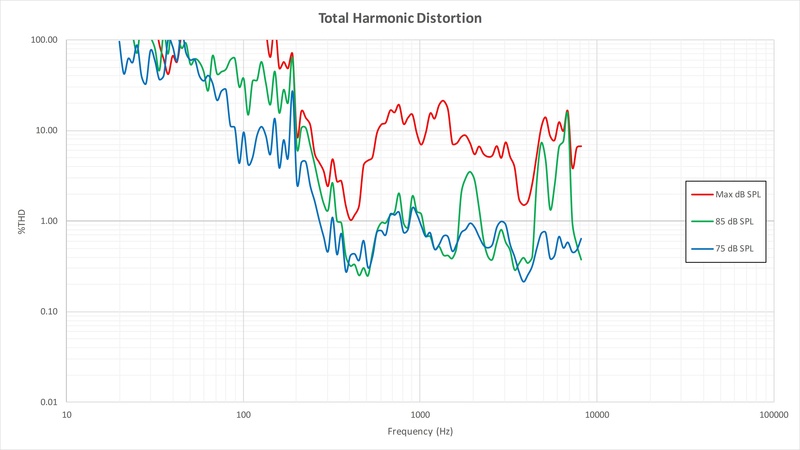 Low-end cutoff, maximum volume and frequency response are all poor. There may also be pumping and compression present under heavy load. Poor distortion performance. 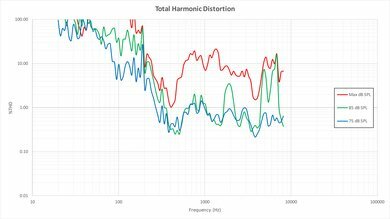 The overall amount of harmonic distortion is decent at low listening volumes, however, there is a noticeable rise in distortion at moderate and especially loud listening volumes. 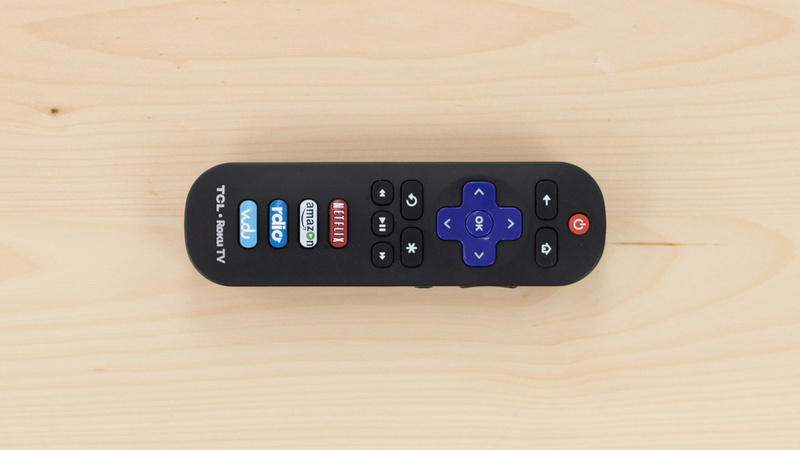 The TCL FS3800 offers a genuine smart interface. It's integration with Roku will allow the user to have access to an endless supply of applications, and to a very reliable smart platform that will be frequently updated. The interface was also quick and responsive. 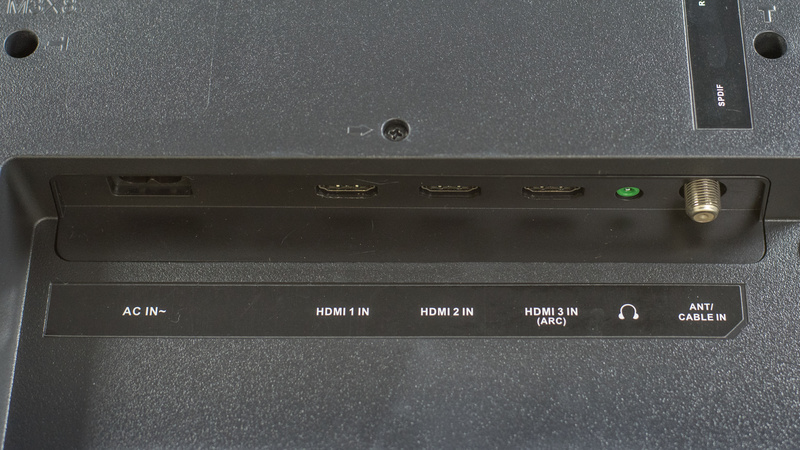 In terms of inputs, the TV offers a reasonable amount of ports, which will be great to plug all your devices in, it also offers USB 3.0 that will have faster transfer speeds for those who plan on plugging a hard drive to the TV. 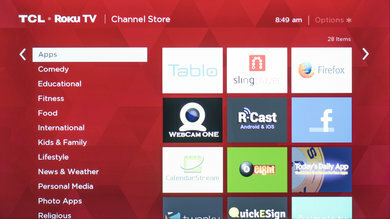 There is an endless supply of applications on the Roku smart interface. 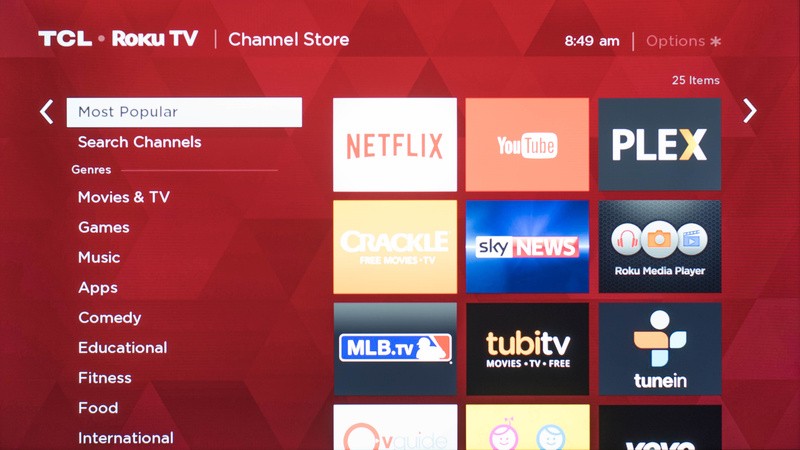 Since Roku is so highly supported you can expect more applications to come to the interface as well as frequent updates that will fix bugs and performance tuning. 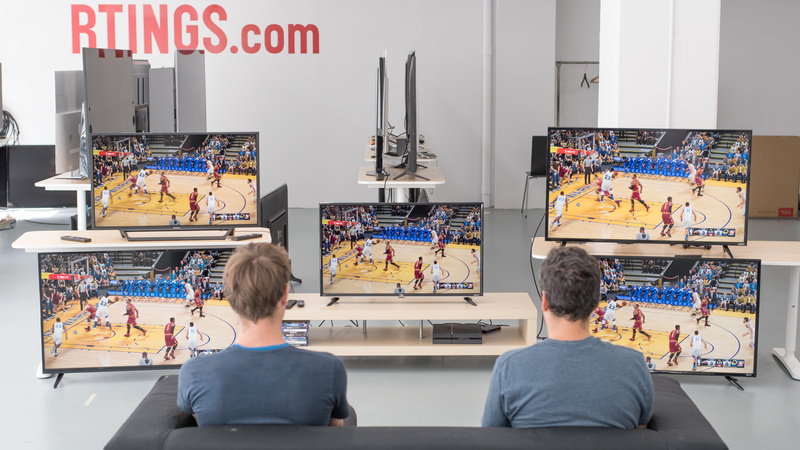 We tested the 40" (40FS3800). 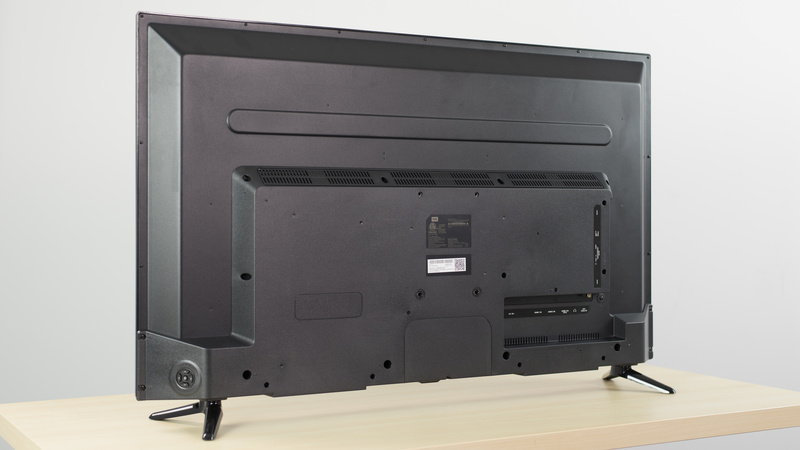 For the most part, we expect our review to be valid for the 50" (50FS3800). The 32 inch version (32S3800) has a 720p resolution. If someone comes across a different type of panel or if their TCL FS3800 doesn't correspond to our review, let us know and we will update the review. Top left: Sony W650D (KDL-40W650D). 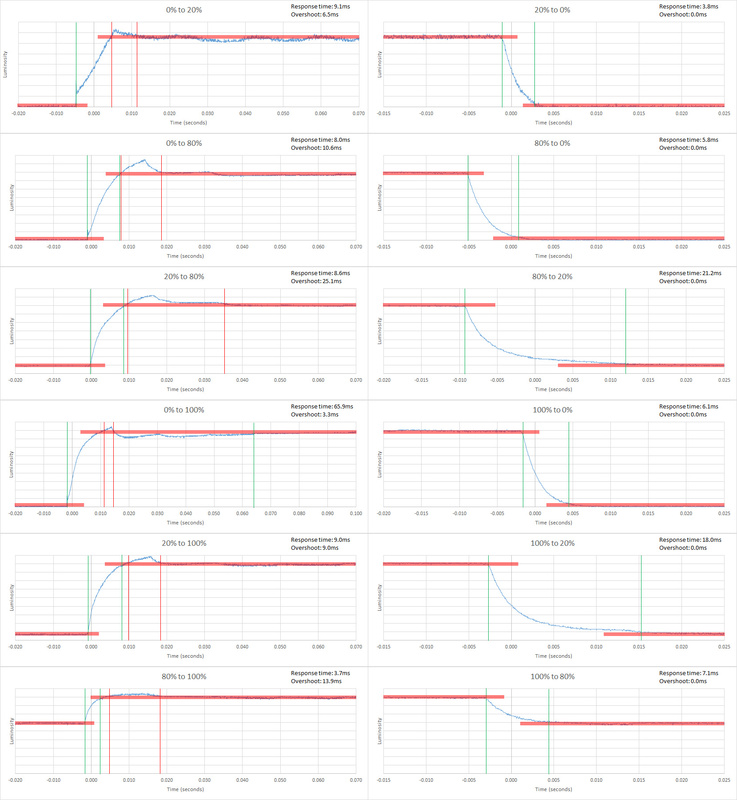 Bottom left: Vizio D 1080p 2016 (D50-D1). 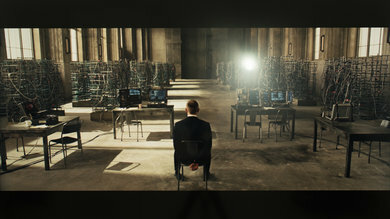 Middle: TCL FS3800 (40FS3800). 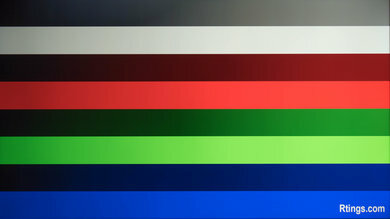 Top right: Vizio E 1080p 2016 (E48-D0). 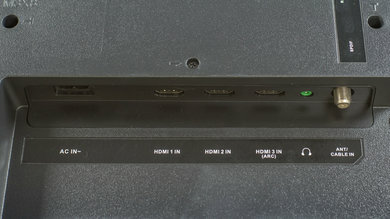 Bottom right: TCL FS3750 (48FS3750). Unlike our other photographs, this picture wasn't taken under a controlled environment, so do not draw conclusions from it. The TCL FS3800 is an average 1080p TV in a crowded market. Some other TVs offer better picture quality either in other sizes or slightly higher prices. 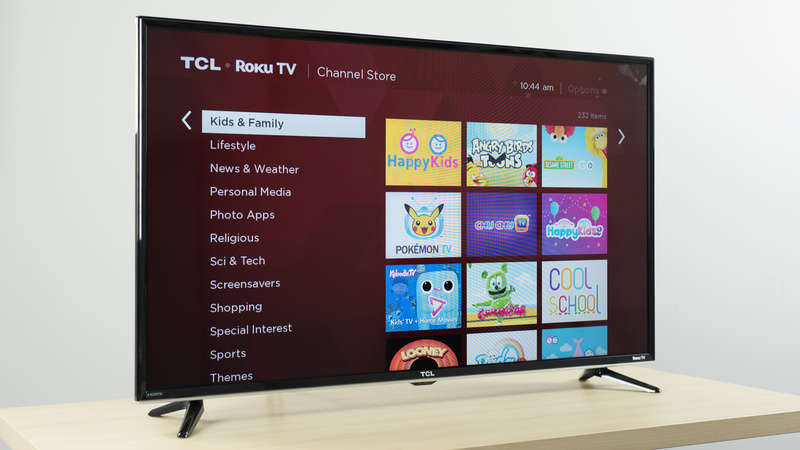 The TCL FS3800 is then hard to recommend. Average TV for mixed usage. Picture quality is okay, but degrades quickly when viewed at an angle. No HDR support. Can't get very bright to deal with ambient light. Average TV for movies. Picture quality is average and performs okay in a dark room. 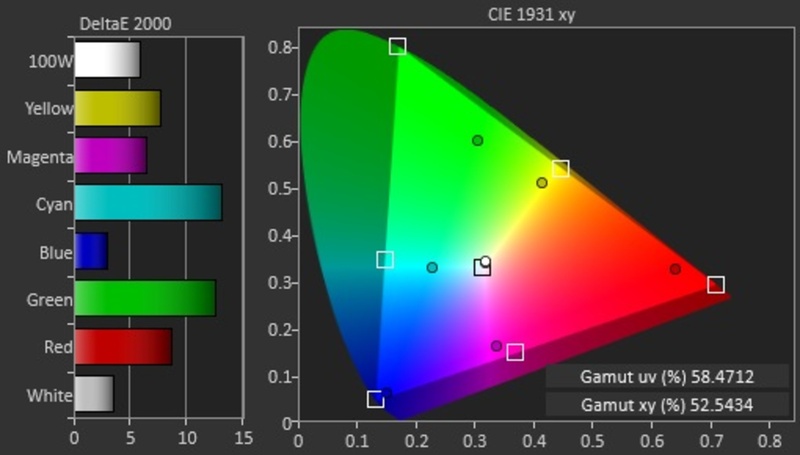 Lacks high end features such as 3D and local dimming. Plays movies over blu-rays or built in apps smoothly. Average TV for watching in a bright living room. Can't get bright to overcome reflections. Upscaling of low quality content is good. Built in smart OS is great for casual viewing. 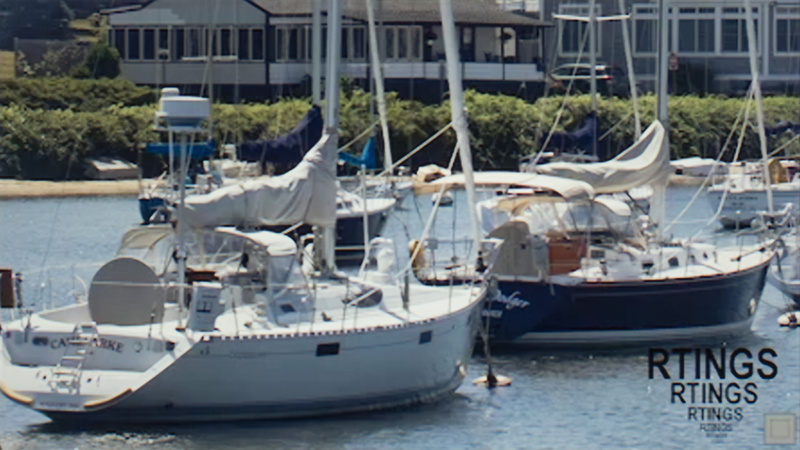 Unfortunately picture quality degrades significant when viewed at an angle. Average sports performance. Average picture quality. Handles motion quite well. 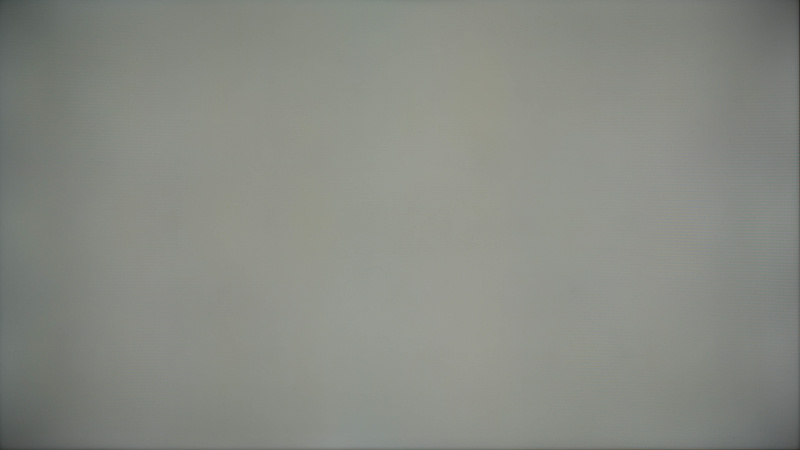 Average gray uniformity results in some dirty screen effect. No motion interpolation features. Good TV for gamers. Handles motion well with little blur. Low input lag is good for responsiveness. Picture quality is decent. Poor HDR performance. Average picture quality. Doesn't support HDR format. Highlights can't get bright. Limited color support. 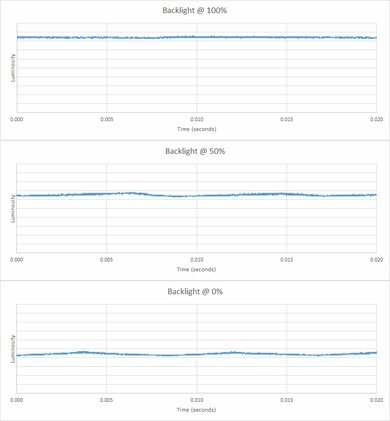 Below average PC monitor. Limited resolution support. Average picture quality. Doesn't support chroma for sharp text. Good motion handling and input lag.